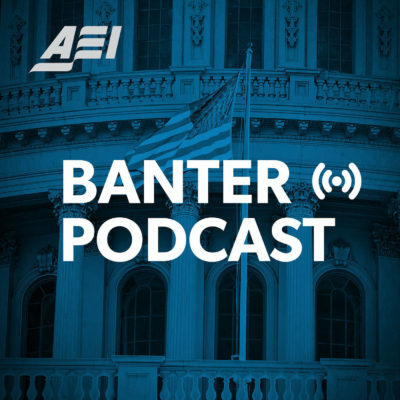 Banter is the official policy podcast of the American Enterprise Institute. Hosts Matt Winesett and Max Frost break down the most pressing public policy issues of the day with AEI scholars, policymakers, business leaders, and other experts from around the country. Published each week, Banter offers a commute-length look into the policy debates happening in Washington, DC, and their implications for the rest of the world. You can send your questions, comments, and suggestions to us at [email protected]. Politics, the media, and Hollywood are saturated with overpopulation doomsayers. From Green New Deal advocates to Marvel’s supervillain Thanos, warnings abound that the Earth simply cannot sustain the 7 billion humans and counting currently plodding around the planet. But Lyman Stone says this commonly-held view gets things exactly backwards. The greater threat to human flourishing over the coming decades is not overpopulation but depopulation, as fertility rates across the developed world crater and fertility rates in developing countries follow suit. In this episode we discuss why the panic over a “population bomb” is so misguided, what’s causing declining fertility rates across the world, what if anything can be done to reverse course, and what these shifting demographics will likely mean for the United States and the world. April 11 marks the start of the largest democratic exercise in the world, as the first of India’s 900 million voters go to the polls to decide if Prime Minister Narendra Modi’s ruling Bharatiya Janata Party wins re-election. What should we expect to happen, and what will these elections mean for India, Asia, and the United States? AEI resident fellow Sadanand Dhume joined this week’s episode of Banter to answer these questions and more. We also discuss recent political and economic history in India, India’s ongoing rivalries with Pakistan and China, and the future of the US-India relationship. As Britain finalizes its plans to exit the European Union, the Republic of Ireland faces a good deal of uncertainty. How will Brexit affect the border between the Republic and Northern Ireland? What will be the impact on Ireland’s economy? And how might Brexit change Ireland’s relations with the EU and the United States? On this episode of Banter, Ambassador Daniel Mulhall joined us to answer these questions and more. “We are surrounded by plenty. Humanity has never been richer as technologies of production have improved steadily over the last two hundred fifty years.” So opens Raghuram Rajan’s new book, “The Third Pillar: How Markets and the State Leave Community Behind.” Yet despite this economic success, he writes, workers in developed countries are literally worried to death. What is causing this wave of anxiety? Dr. Rajan writes that while economists understand the relationship between markets and the state, all too often they neglect the “third pillar,” the communities we live in. In this episode, we talk with Dr. Rajan about what’s causing the erosion of communities across the developed world, what can be done about it, and much more. What does Jair Bolsonaro mean for the future of Brazil? Why do women wage war? Jessica Trisko Darden, co-author of the new book “Insurgent Women: Female Combatants in Civil Wars,” joins the show to shed some light on this often overlooked but important topic. Then, how should the West respond to the attempted return of the so-called “ISIS brides”? We discuss the ongoing debate over the legal status of these women, how the United States and Europe are coping with the situation, and what should be done. Jessica Trisko Darden is a Jeane Kirkpatrick fellow at the American Enterprise Institute and an assistant professor of international affairs with the School of International Service at American University. Her latest book “Insurgent Women: Female Combatants in Civil Wars” examines three important aspects of women’s participation in non-state armed groups: mobilization, participation in combat, and conflict resolution. It was a refrain repeated often by Donald Trump as he campaigned for president, and it resonated throughout the country. But what is the American Dream, and what killed it? In his new book, “Alienated America: Why Some Places Thrive While Others Collapse,” Tim Carney explores these questions. He joined us on Banter this week to discuss. When war breaks out, what factors influence the belligerents’ decisions about whether to talk to their enemy, and when may their position on wartime diplomacy change? How do we get from only fighting to also talking? AEI Jeane Kirkpatrick visiting scholar Oriana Skylar Mastro addresses these questions in her new book, “The Costs of Conversation,” which she joined Banter to discuss. Then, how do we avoid war altogether on the Korean peninsula? And how will the ongoing US-China rivalry play out? Dr. Mastro tells us how to think about the second Trump-Kim summit. What is the purpose of a higher education? Why does it cost so much? And how come college campuses seem to be so left-leaning? On this episode of Banter, Harvard president Larry Bacow joined us to discuss. Dr. Bacow is the president of Harvard University and one of higher education’s most widely experienced leaders. From 2001 to 2011, he was president of Tufts University and before that he spent 24 years on the faculty of the Massachusetts Institute of Technology. He holds an S.B. in economics from MIT, a J.D. from Harvard Law School, an M.P.P. from the Harvard Kennedy School of Government, and a Ph.D. in public policy from the Graduate School of Arts and Sciences. It finally happened: On Friday, February 15, President Trump announced an emergency at the southern border, allowing him to divert funds from other projects to enhance border security. How will this affect the military? What will this look like in practice? What type of precedent does this set? Rick Berger joined Banter to answer all these questions and more. Rick Berger is a research fellow at AEI, where he works on the defense budget, the National Defense Authorization Act, military appropriations and acquisition reform, as well as on other national security budget-related issues. Before, he was a professional staff member for the Majority Staff at the US Senate Budget Committee, where he worked on defense, foreign affairs, and veteran issues. Michael Rubin is the author of numerous books, including “Dancing with the Devil: The Perils of Engaging Rogue Regimes,” and “Eternal Iran: Continuity and Chaos.” He holds a PhD in history from Yale, and lived in post-Revolution Iran. He has extensive experience advising US policy toward the Middle East and is a frequent commentator on Middle East politics. This week on Banter, AEI visiting fellow Roger Noriega joined the show to discuss the past, present, and future of Venezuela. We cover Venezuela’s history since Hugo Chavez first took power, the ongoing power struggle between Nicolás Maduro and Juan Guaidó, and what all this means for US policy moving forward. This week on Banter, Henry Wendt Chair in Political Economy Nicholas Eberstadt joins the show to discuss his new report, “China’s demographic outlook to 2040 and its implications: An overview.” In this episode Dr. Eberstadt discusses how the structure of China’s population will likely change over the coming decades, what effects this may have on China’s domestic and foreign policy, and what this means for the United States. This week on Banter, AEI Resident Scholar Ken Pollack joins the show to discuss his new book “Armies of Sand: The Past, Present, and Future of Arab Military Effectiveness.” The book describes four explanations as to why Arab militaries have performed so poorly since World War II. In this episode, Dr. Pollack analyzes each explanation and explains why understanding Arab military effectiveness matters, given the changing balance of power in the Middle East. This week on Banter, Brookings Institution Senior Fellow Isabel Sawhill joins the show to discuss her new book “The Forgotten Americans: An Economic Agenda for a Divided Nation.” The book describes how we can promote work and increase opportunity and economic mobility for working class Americans. Following the book’s publication, Sawhill published an essay describing focus groups she hosted in Syracuse, New York, Greensboro, North Carolina, and St. Louis, Missouri, where she discussed the ideas included in her book. You can read this essay and more at the links below. This week on Banter, AEI Visiting Scholar Roger Bate joined the show to discuss the rise of illicit fentanyl use in America. An expert on international health policy, Bate recently authored a report on how policies to combat America’s opioid epidemic have contributed to an increase in fentanyl use and fatal overdoses. This week on Banter, Robert Doar and Ben Harris joined the show to discuss a new report on the issues plaguing the American working class and possible bipartisan policy solutions. The report, Work, skills, and community: How to rejuvenate the American working class, was authored by a group convened by Opportunity America and cosponsored by AEI and the Brookings Institution. Doar is AEI’s Morgridge Fellow in Poverty Studies and Harris is the chief economist and senior adviser at Results for America and the former chief economist and economic adviser to Vice President Joe Biden. Both participated in an AEI event presenting the report.